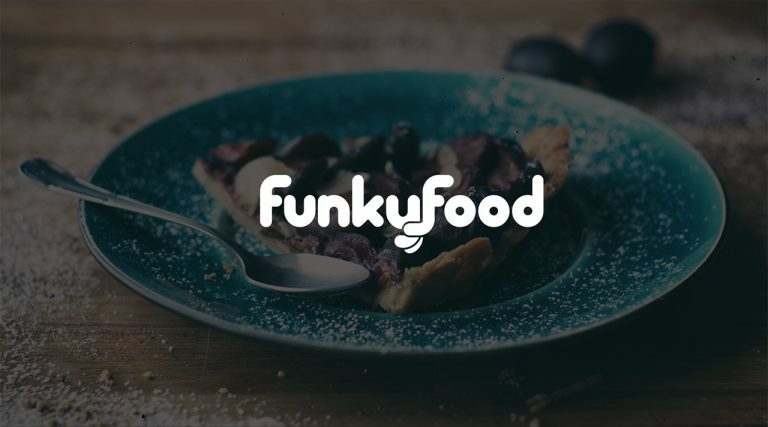 Going to a restaurant in which you can not only choose from a number of delicious dishes, but also select the accompanying music is an incredibly interesting and motivating experience from which to begin building a new brand image. 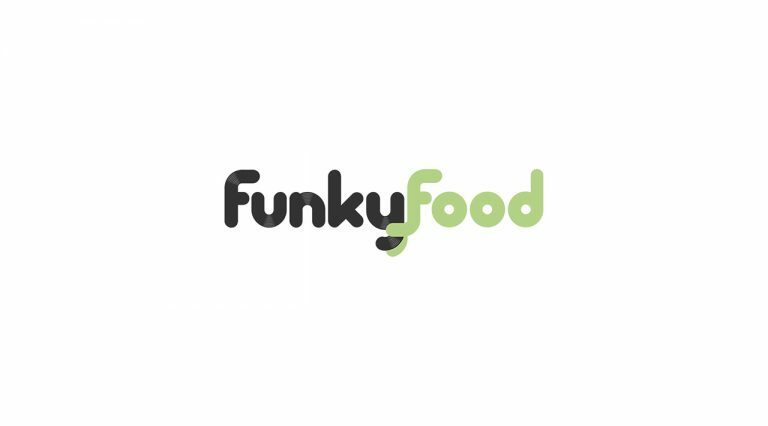 Vinyl grooves and organic droplets, reminiscent of various sauces, make up FunkyFood’s new logotype. 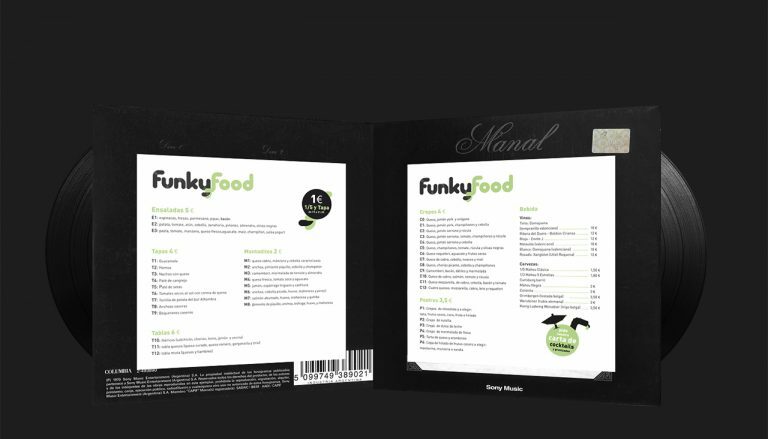 The colour scheme combines shiny black with a fresh shade of green that calls to mind healthy food. This pattern can be used throughout a wide range of applications, including business cards, bags, banners and placemats. 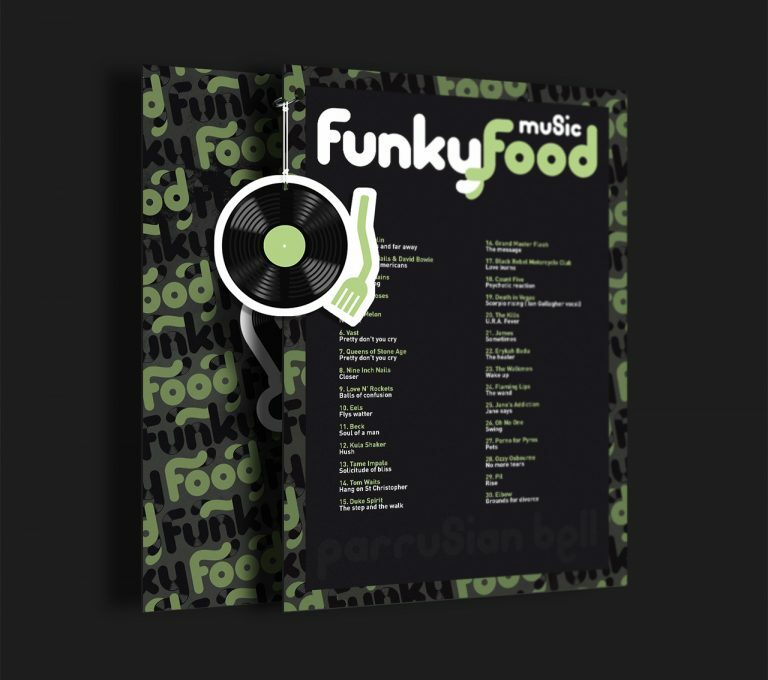 The menu incorporates double vinyl records that include stickers with illustrations using cutlery and discs to represent the restaurant’s different dishes. 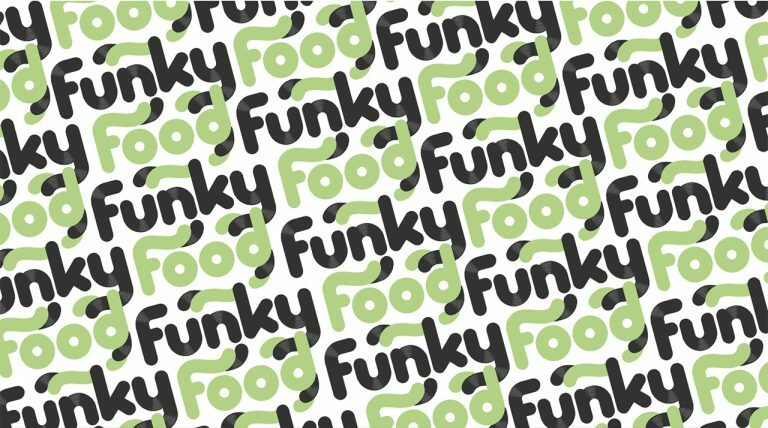 The name’s initials appear to melt into delicious sauces, and the image of a fork morphs into the record needle that FunkyFood’s DJs use to create a lively evening atmosphere. A music menu was also designed to showcase the different songs available for patrons to choose from. The restaurant’s walls feature vinyl records cut in the shape of Spanish-style montaditos. Banners proudly announce special events and DJ sessions. 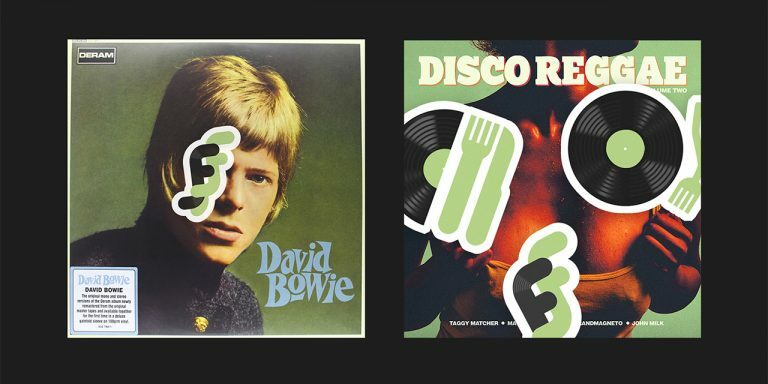 All of these elements blend together to form a seamless brand identity, replete with tasty references to the world of music.